A New Year, another promise to ourselves that we will try new and exciting cuisines and learn new skills in the kitchen for a fuller more flavourful life. 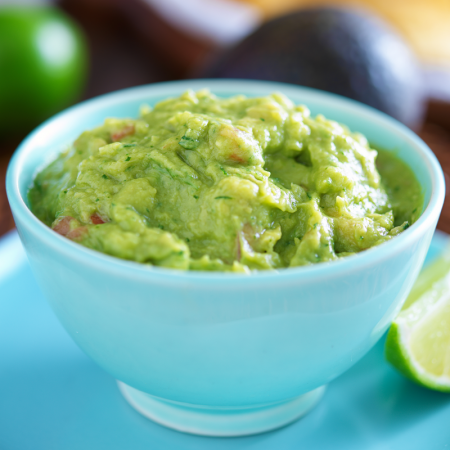 In absolute love with Mexican cooking and all things salsa, we want to show you are easy, quick and totally additive guacamole recipe for you to try this gloomy New Year. Using either a pestle and mortar or the Chef’n Vegetable chopper, place the coriander, salt and onion and pound until it has turned into a fine paste. Adding a tiny amount of water and the lime juice to the mix, finish by mashing in the avocados to create the delicious guacamole. If you are wanting to spice up your dip and add a bit of heat, why not add a couple of chopped chillies into the ingredients, mashing them up at the beginning when grinding the coriander and onions.